The mission of the Policy Working Group is to enhance the linkage between DOSI science and the formulation of policy related to the deep ocean, both within and beyond national jurisdictions. 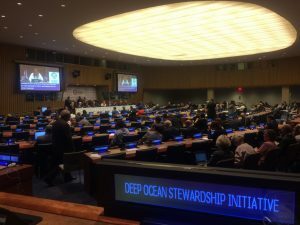 The Policy Group will build on the policy-related activities of the Deep Ocean Stewardship Initiative across Working Groups and provide connections to external legal entities and instruments. It will maintain a broad perspective across all sectors and themes to ensure efficient communication, coordination, and consistency within DOSI, and enhance the visibility of DOSI efforts on a global scale. How will DOSI engage in IOC International Decade of Ocean Science? Statement of support that includes role of social sciences (long vs short term tradeoffs in decision making). Assess what policy makers may need from DOSI community? Is there a way to gauge effectiveness? Is there a results framework which could account for DOSI input? Explore ECOSOC Status at UN – application status? DOSI briefing to UN delegates in NY 14 June 2018 – Lisa Levin, Verena Tunnicliffe and Kristina Gjerde. Briefing Invitation and UN Deep-Sea Briefing Note. Levin UN Briefing Note. Tunnicliffe UN Briefing Note. Gjerde UN Briefing Note. 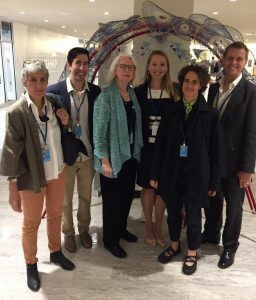 DOSI participation in the UN Oceans Conference, June 2017. 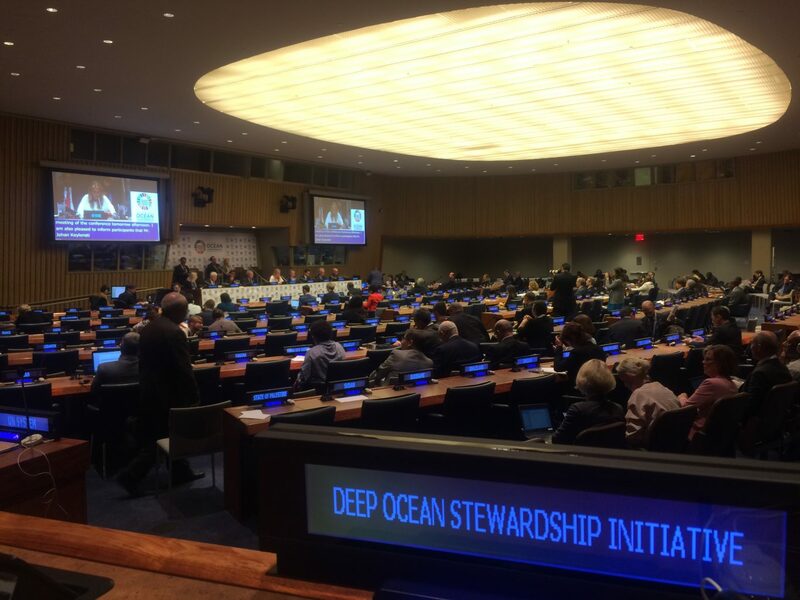 DOSI hosted a side-event alongside others (report to follow shortly), submitted Voluntary Committments entitled “Science for deep-ocean sustainability” and delivered an intervention during the conference.